Though it was quite far from Taipei, I suggest those who love extreme rides and animals must go here. You can see various species of monkeys in here, as well as animals from the Madagascar movie. The rides were amazing especially the screaming condor (ref. Running Man). Go on a magical adventure between four different worlds in the Leofoo Village Theme Park in Taipei! Choose from four different, colorful thematic areas such as the Wild West, South Pacific, Arabian Kingdom and African Safari. Explore the wonders that await you in this Taipei theme park while enjoying different attractions within the park's 100 hectare space. 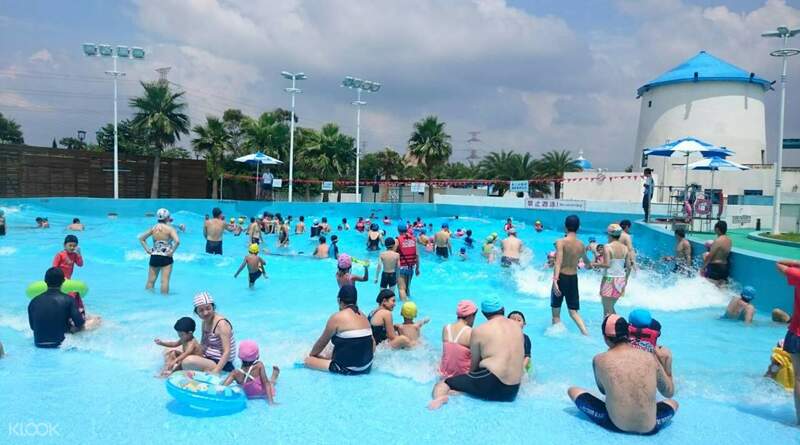 After three decades of bringing joy and magic to visitors to this amusement park, tourists will also now get the chance to enjoy the adjoining Leofoo Water Park, which is the perfect summer adventure! 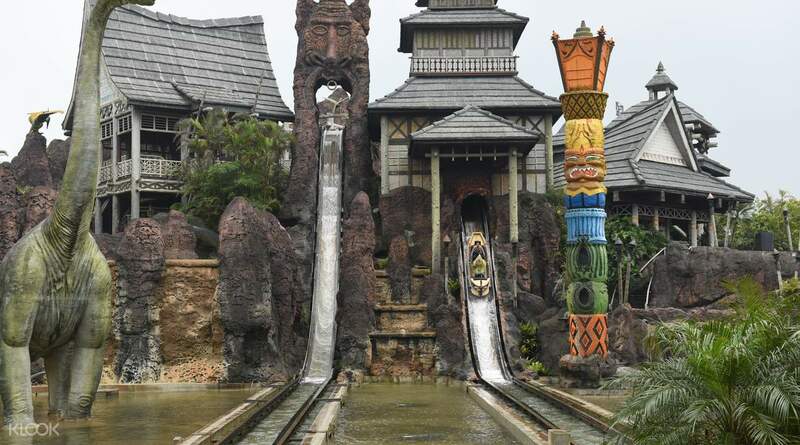 This unique theme park fuses the traditional amusement park with an exciting safari, plus the ideal way to cool off afterwards at the waterpark. With a Leofoo Village Theme Park ticket including admission to Leofoo Water Park, plus a choice of 1 or 2 days, it's the perfect activity for kids and adults looking for a truly out of this world adventure near Taipei! 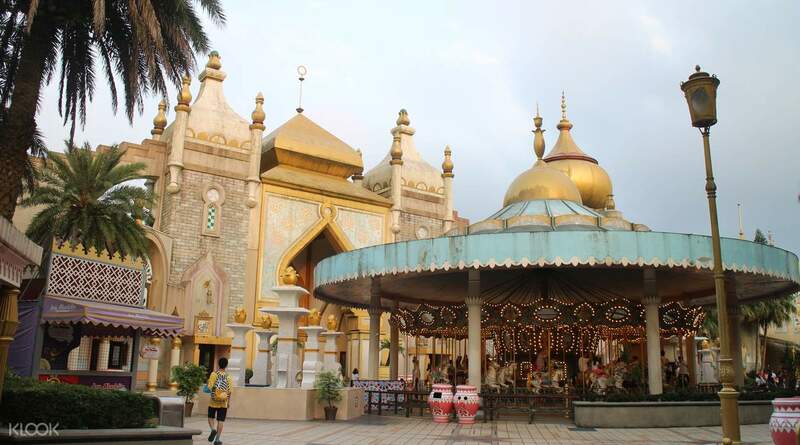 Explore four different worlds in Leofoo Village Theme Park! Visit the Water Park with your Leofoo Village Theme Park ticket too - the ultimate summer getaway! 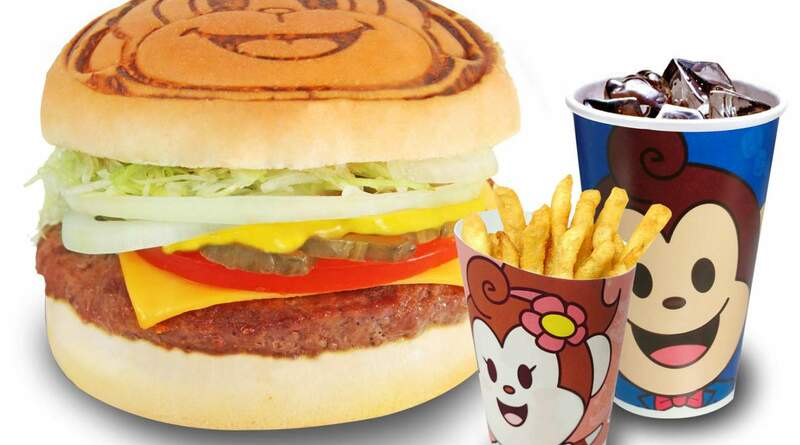 Book the delicious burger set instantly through Klook, enjoying both the fun rides and meals! Make sure to pick up a show schedule when you arrive at the park so you can plan your sightseeing and see all the fantastic shows! Just like the other theme park, the queues to rides may take more than an hour; but redeeming the entry ticket is fast and easy as it has it's own queue. We got a special gift item of a pen and a ballpen for booking with klook. Just like the other theme park, the queues to rides may take more than an hour; but redeeming the entry ticket is fast and easy as it has it's own queue. We got a special gift item of a pen and a ballpen for booking with klook. We went on a weekday. No crowds. It was just enough to entertain our 6 and 11 yr old. Our favorite areas were the South Pacific and Safari areas. We wanted to do the caged safari tour but when we got there they said you have to book that 3 days in advance. We didnt know that wasn't included in the ticket. Misleading because in the Klook pictures it shows that safari tour but no details about it. But overall it was still a nice park and fun experience. It's not to overwhelming big so you can finish the whole park and reride your favorites. We went on a weekday. No crowds. It was just enough to entertain our 6 and 11 yr old. Our favorite areas were the South Pacific and Safari areas. 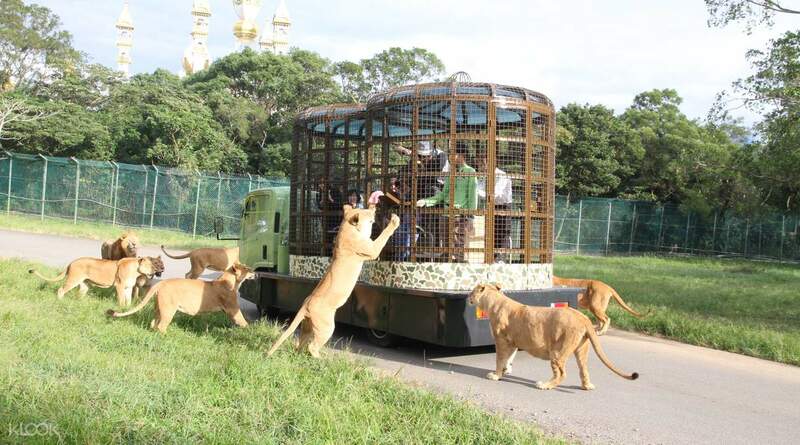 We wanted to do the caged safari tour but when we got there they said you have to book that 3 days in advance. We didnt know that wasn't included in the ticket. Misleading because in the Klook pictures it shows that safari tour but no details about it. But overall it was still a nice park and fun experience. It's not to overwhelming big so you can finish the whole park and reride your favorites. The experience is very fantastic. Using klook give us a very fast access in getting our tickets in the redemption booth. Leofoo is like the Disneyland of Taiwan. There’s so many exciting rides to ride on. During our visit, we are so sad since the Waterpark is closed. They told us it is only open during summer. But overall experience is great. Just go there early, since there’s so many people also falling in line for each rides. The experience is very fantastic. Using klook give us a very fast access in getting our tickets in the redemption booth. Leofoo is like the Disneyland of Taiwan. There’s so many exciting rides to ride on. During our visit, we are so sad since the Waterpark is closed. They told us it is only open during summer. But overall experience is great. Just go there early, since there’s so many people also falling in line for each rides. really fun! most rides are thrilling and they all goes 360 degree. short queues. i even when up alone once. there are quite a lot of people when i went but it is not packed at all. good to go with family! really fun! most rides are thrilling and they all goes 360 degree. short queues. i even when up alone once. there are quite a lot of people when i went but it is not packed at all. good to go with family! It's been a great experience for Non-Taiwanese travelers like us ! We tried to get with an extreme ride and enjoy different spots to take photo with. Also , we experienced to see those animals inside the theme park like tigers. That park is really great for it also has a water pool but unfortunately that does not operate. There are also from wild west that shows a parade. Hope to have another travel with Taiwan and be back at Leofoo Village Theme Park . Thank you KLOOK for providing a big discount for a traveler and a very convenient apps! It's been a great experience for Non-Taiwanese travelers like us ! We tried to get with an extreme ride and enjoy different spots to take photo with. Also , we experienced to see those animals inside the theme park like tigers. That park is really great for it also has a water pool but unfortunately that does not operate. There are also from wild west that shows a parade. Hope to have another travel with Taiwan and be back at Leofoo Village Theme Park . Thank you KLOOK for providing a big discount for a traveler and a very convenient apps! The place was so big ang there are many rides to choose from. Its a great time to spend with your family and love ones. I recommend you to spend the day there since the place is huge and overwhelming. We just spent half day but its still worth it. We had so much fun! The place was so big ang there are many rides to choose from. Its a great time to spend with your family and love ones. I recommend you to spend the day there since the place is huge and overwhelming. We just spent half day but its still worth it. We had so much fun! Leofoo is a relatively small theme park. While there isn't a huge variety of thrilling rides, the wait times a so short that you can easily experience your favourite rides multiple times even if you're limited in time. Coming from Taipei takes quite a while (the bus ride from Zhongxiao Dunhua was a little over 2 hours to get there) however, as I mentioned, you don't need too much time at the park so don't worry about have to get there super early. Overall it was a fun and enjoyable experience! Leofoo is a relatively small theme park. While there isn't a huge variety of thrilling rides, the wait times a so short that you can easily experience your favourite rides multiple times even if you're limited in time. Coming from Taipei takes quite a while (the bus ride from Zhongxiao Dunhua was a little over 2 hours to get there) however, as I mentioned, you don't need too much time at the park so don't worry about have to get there super early. Overall it was a fun and enjoyable experience! it was an all in one theme park. we had fun especially my little girl! there are many rides for kids with height limits some atleast 90cm or 100 cm or 110 cm. African Safari area has animals whre we bought carrots and fed it to the herbivores. there is also an aviary, and a carnivore area. getting the ticket was also hassle free. it was an all in one theme park. we had fun especially my little girl! there are many rides for kids with height limits some atleast 90cm or 100 cm or 110 cm. African Safari area has animals whre we bought carrots and fed it to the herbivores. there is also an aviary, and a carnivore area. getting the ticket was also hassle free.